On Friday 6th April, P3 / P4 / P5 English class had a ´Easter Egg Hunt´ to celebrate Easter. 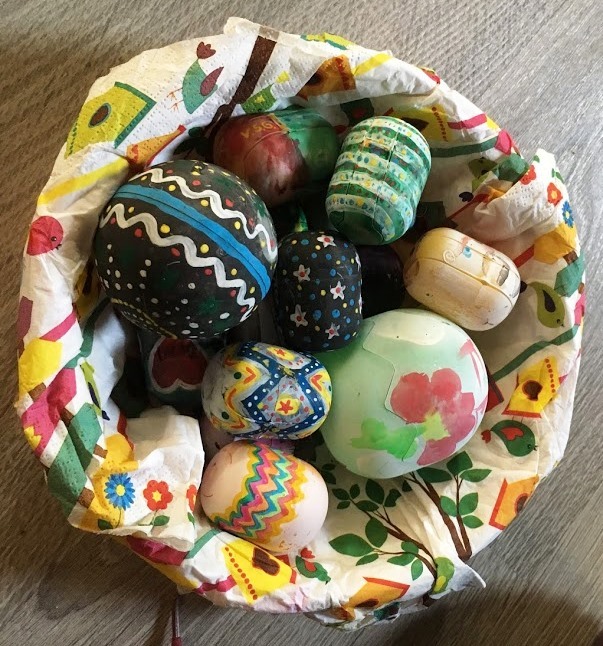 Small painted eggs were hidden around the Town Hall by the ´Easter Bunny´ (Nuria). On the count of three, the children searched to room to find the eggs. When each child found the egg, the ran back to Laia, Nuria and Charlotte where they put the egg in a basket while saying “I found an egg”. Once all the eggs were found, we counted how many were collected. To find out how to plan an Easter Egg Hunt, click here. To read about more Easter Traditions including the Easter Bunny and Easter Parades, click here and here.